Dragon Naturally Speaking is a high-end product, and as is often the case, premium products demand premium prices. It is not the sort of product you should buy just because you like the idea of being able to write articles without having to type a single word. Mastering the software requires quite a bit of commitment, but if you can get through this, Dragon is exceptionally good at what it does. It’s fast; it’s amazingly accurate, and it can quite literally slash the amount of time you spend on your keyboard in half. No matter what you read when you download Dragon Naturally Speaking software, you will almost certainly read a lot of good things regarding the performance of this software. The speed with which it processes your speech and converts it to text is actually incredible, and the high level of accuracy makes it seem even more unbelievable. Unlike with previous versions of this software where you were required to use a good quality microphone, the latest version allows you to use the built in microphone of you PC; laptop and etc. When this new capability was extensively tested, the results showed that accuracy was only marginally less than what it is if you use a high quality connected microphone. These tests were done with the user sitting 40cm from the microphone on their laptop. According to Nuance, the latest version of their Dragon software is 15% more accurate than Dragon Naturally Speaking 12, which was the previous version. However, since version 12 was in itself incredibly accurate, most users probably won’t even notice a jump of 15%. Another remarkable quality of Dragon Naturally Speaking 13 is its uncanny ability to handle even very technical dictation. Yes, the software will occasionally mistake “an” for “and” but if minor errors like this appear once or twice in every three or four paragraphs then it is not really a major issue. Some users have also reported that a “full stop” command is sometimes mistaken for the word “stop”, but again, these minor errors tend to be far and few between, and most are very easy to correct. One very important thing to keep in mind if you are considering purchasing this software, is the fact that no matter how efficient the software is, your own dictation skills play a crucial role. Many people incorrectly believe that dictation is simply a matter of speaking the words, phrases and sentences they want converted into text. In reality however, there is more to it than that. The accuracy and efficiency of Dragon Naturally Speaking will to a large extent depend on you how clearly you pronounce your words, and of course your grammar is also important. With all that having been said, even if you have never dictated anything in your life before, you will almost certainly be very impressed at just how good this software is. In fact, if you are new to dictation, you will find that the software is able to transcribe faster than what you are able to dictate. As with virtually all software, Dragon is dependent on the performance of your computer. If your computer or laptop is starting to age, make sure you pay close attention to Nuance’s recommended system requirements. For example, you will need at least 4 GB of drive space. You will also need 2 GB (32 bit) RAM or 4 GB (64 bit) RAM, and at least a 2.2 GHz dual-core processor. With previous releases, users were required to train the software so that it could better recognize their voice and accent. This was done by dictating scripts provided by Nuance, but even after completing this process, the software continued to learn every time you dictated anything. With the latest version, this is no longer necessary, although the option to do so is still available. Dragon is incredibly fast and accurate even if used straight out the box, but if you are willing to invest some time to train it, and to familiarize yourself with all of its different nooks and crannies, you will find it becomes even faster and more accurate. Dragon Naturally Speaking supports webmail dictation; it is incredibly fast, and remarkably accurate. Depending on your dictating proficiency, it can allow you to complete a written document in half the time it would take the average person to type that same document. The software actually learns an individual’s writing style by scanning previously written content such as emails, Google Docs and etc. 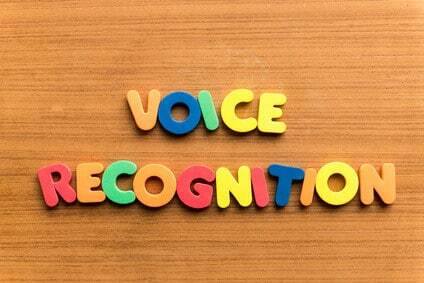 It is also seen as being the world’s leading voice recognition software. Lastly, the latest version allows you to start using the software straight out of the box without any need for training it. At the time of writing this Dragon Naturally Speaking review, Google Chrome is not supported as well as Internet Explorer. The software also doesn’t include any automated transcription, and for many people, the learning curve can be quite demanding because it really does need a reasonable amount of dedication in order to get the most out of it. For most individuals, its relatively high price tag is perhaps the biggest con. As long as your machine or device meets the recommended system requirements such as hard drive space and RAM, Dragon Naturally Speaking is generally compatible with all versions of Windows. If you use a Mac, then you will need to purchase Nuance’s Mac version of the software which is called Dragon Dictate for Mac. The latest version of Dragon features enhanced compatibility which allows it to be used with a range of programs which were sadly excluded in earlier versions. Today you can use it in most webmail applications, including Gmail; Yahoo Mail; Outlook, and etc. The latest premium version is also compatible with programs such as Excel; Power Point; WordPad; MS Word and etc. However, program compatibility depends on which version of the software you purchase. For example, the “Home” edition does not support programs like Excel and Power Point, while the “Premium” version does. When you initially install the software, you are asked to choose between “Typical Installation” and “Custom Installation”. If you choose Typical Installation, the software’s TextBridge feature will automatically install English; French; German; Italian and Spanish language packs. If “Custom Installation” is chosen, you will have the option to also install Danish; Dutch; Finnish; Norwegian; Brazilian; Portuguese and Swedish. Nuance has fine tuned their Dragon software to suite various niches. This has basically been achieved by creating slightly different versions, with each one tweaked for a particular niche. For example, you get Dragon for Business; Dragon for Healthcare, and of course, Dragon for Individuals. This is not to say that Dragon for Business won’t be compatible for use in a healthcare environment, but the Dragon for Healthcare is obviously a better choice because it has be specifically tweaked for this particular niche. How much value are you getting for your money when you download Dragon Naturally Speaking? I guess this is a million dollar question because the value of this software will vary from one person to the next, and also from one business to the next. It will also depend on whether you purchase the “Home” version or the “Premium” version. In short, the more valuable your time is to you, the more valuable this software will be. Let’s take a writer for example, who typically needs to write as many as many articles as possible each day for the sake of article marketing. If this writer can type an average of ten articles per day, Dragon Naturally Speaking 13 could potentially allow them to complete 20 articles per day, or to complete their required amount of articles in half the time it usually takes them. The value is even greater for people who are slow typists because by using the software, they can effectively produce written text just as fast as anyone else can. Anyone who uses this speech recognition software can save a considerable amount of time, and especially if they are dedicated to learning how to use it correctly. Despite the obvious advantages of this software, many people may however still be put off by the price. This is particularly true as far as your average person is concerned, considering that Microsoft Windows includes some free basic voice recognition features. For this reason, I wouldn’t class it as an “impulse buy” product. If you rarely spend time typing, then I think it is an expensive option which you could probably do without. On the other hand, if you do spend a lot of time typing emails; memos; letters or articles, then it is by far the best voice recognition software currently available, and in my opinion, it represents excellent value for money. One of the most important things to keep in mind before purchasing this speech recognition software, is the fact that it is without any doubt a high-end product. It is “professional” software in the true sense of the word. It is amazingly good at what it does, but this advanced capability comes with a price, and I don’t only a price tag. The real price you pay is dedication to learning how to use it properly in order to get the most out of it. Even though Dragon Naturally Speaking 13 can be used straight out of the box, without you first having to train the software, it can still be relatively challenging, and particularly for people who aren’t technically minded. To a certain extent, the software is incredibly user friendly, but this is generally limited to its more basic features. For example, if you have the software running when you launch your browser, it will automatically run in your browser. If you were then to log into gmail or whichever webmail you use, you could effortlessly reply to emails by means of dictation using your Dragon software. It really couldn’t be any easier. The software is remarkably efficient at learning your style of writing and grammar, but it does still make errors, and correcting errors can be somewhat cumbersome and time consuming. I’ve read in some reviews that it’s the software itself which is responsible for a relatively long learning curve. Personally, I agree with others who argue that the length of the learning curve depends largely on how fast you are able to master the art of dictation. As I’ve mentioned earlier in this review, dictation is not as easy and as straightforward as it first seems. The bottom line is: The faster you learn how to dictate properly, the shorter your learning curve is going to be. Dragon Naturally Speaking 13 boosts Rock Solid accuracy and it is incredibly fast. Its built-in macro system, if used correctly, can make Dragon even faster since it allows you to fully automate commonly used phrases and sentences. It’s also good to see that Nuance has now made it possible for users to use built-in microphones rather than always having to use a plugged in microphone, as was the case with earlier versions of the software. On the downside, many novice computer users will almost certainly find the software a bit confusing and tricky to use. Additionally, while most PCs and Macs will have no problem running this software, it is nonetheless high-spec software which might prove to be too heavy for some portable devices such as laptops, tablets and etc. If you have a suitable machine capable of running Dragon Naturally Speaking 13, and you’re willing to invest a reasonable amount of time in order to fully understand the software, then in all honesty, there is no better choice out there.